On April, 22, 2006, the International Day of the Earth, artists of the group "Strontium-90" have conducted the action under the name of "Oblational Rising". 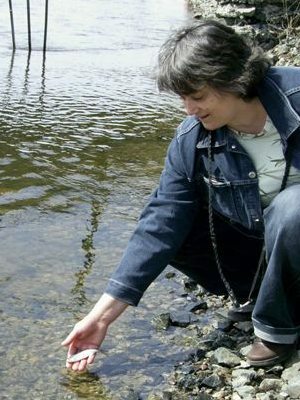 Fishes purchased from fishermen were released to Dnieper River. By way of this "immolation in reverse" artists call people to show good will for the sake of saving all living things on the Earth. The artists call to refuse human sacrifices which are still sacrificing to altar of material well-being in all branches of human life using technological innovations: from cookery and public transport up to aviation and nuclear power. The reason is imbalance between moral level of the community and level of those technologies which the society is trying to master. While this disbalance is not eliminated, the mankind is doomed to technological catastrophes. On the eve of the 20-anniversary of Chernobyl the group has invoked President of Ukraine, parliament and politicians to promote a public and political vindication of Chernobyl operators, which have unfair and unjustified reputation of persons guilty of the Chernobyl disaster. The main reason of Chernobyl is the imbalance between moral level of the community and those high technologies, which the society is trying to master, the artists consider. Therefore the operators had received in fact the reactor 'without brakes'. Chernobyl is not a technological or engineering accident; it is a humanitarian catastrophe, both for its reasons and its consequences. Recovery of justice in respect of Chernobyl operators is an indicator how the community has learned lessons of Chernobyl. In February, 2006, the participants of the Strontium-90 art group have joined the International yearly action called "Saved Planet". The idea of the action is to impart to the day on April, 26, the sorrowful date of Chernobyl tragedy, a positive impulse through consolidation of humanity in common aspiration to Peace, Harmony, Good and Love. The action has been initiated since 1998 by people from the lifeless town of Pripyat located nearby the Chernobyl accident epicenter. 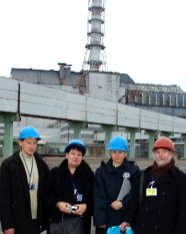 In January, 2006, within the framework of the project "Chernobyl. Between the Past and the Future", the art group "Strontium-90" presents a report of Alexey Breus, an artist of "Strontium-90" group, about the first day of Chernobyl era. On April, 26, 1986, on the day when explosion happened in Chernobyl, he spent long hours inside the destroyed fourth unit of Chernobyl atomic power station. 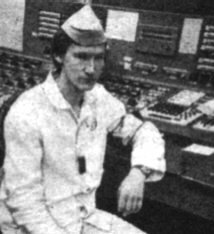 Alexey was one of the last to leave the wracked nuclear unit and received high radiation dose. Together with other operators he rose in the teeth of nuclear hazard not only being duty-bound, but also by command of his heart. They first resisted to nuclear tempest. They didn't know yet that they stood up for protection of all mankind. For his courageous actions in the complicated radioactive circumstances Alexey Breus was decorated with a State Commendation: a medal "For Honorable Service." We bring to your attention unique notes of Alexey Breus made in the first time after Chernobyl accident. 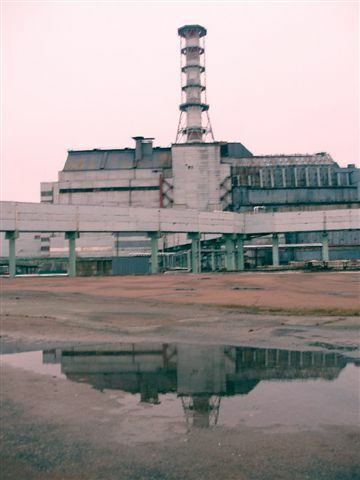 On December, 1, 2005, artists of "Strontium-90" visited Chernobyl nuclear power plant. On the site of the plant the artists honored the memory of fallen Chernobyl heroes at the victims' memorial. The action was conducted on the eve of President Viktor Yushchenko's visit to Chernobyl. In a meeting with the NPP management, the artists said they are beginning an art project under the name of "Chernobyl. Between the Past and the Future". The project is devoted to the 20-anniversary of Chernobyl accident and targeted at attracting attention to the problems of Chernobyl, including shutdown Chernobyl units and 'sarcophagus' facility. The artists are convinced that Chernobyl is not especially Ukrainian tragedy. Chernobyl accident is a global scale disaster, and its overcoming is still in need of common efforts of all mankind. Politicians and experts have long said it is unacceptable to leave the shelter problems for future generations to deal with. The 20th anniversary of Chernobyl is a reminder that a new generation has already grown up since the accident. What kind intellectual and technical heritage has received new generation? What is Chernobyl for them? Nothing more than a horror story told by older people? The artists say it is not allowed the problems to be forgotten by society with the change of generations.